If you haven’t used your RV in a while, or hear some unfamiliar noises when retracting or extending your slides, it’s probably a good indicator that the seals need some love. There are seals on the inside and outside of your slide-outs, and their main function is to keep you comfortable! The seals around your slide-outs keep unwanted weather out, leaving your RV interior warm and dry. After an extended break from use, extreme temperature changes, or a long time spent in the sun, these slide-out seals can begin to break and crack. If your seals appear to be rotting or falling apart, you’ll want to replace them altogether. If your seals simply appear a bit dried out or sticky, invest in “Slide-Out Seal Conditioner” products that will help bring your seals back to life! It’s a good idea to apply the conditioner to your seals every three to four months, which should prevent any major cracks or tears altogether. Always begin your interior seal maintenance with the slide-out retracted. With your slides in, you should have better access to the rubber seals from the inside. Spray the conditioner on the seals and allow them to absorb the formula. Once the interior seals are complete, extend your slides fully, and begin to spray the conditioner on all exposed seals. You will likely need a ladder to access the seals on the tops of your slide-outs, so proceed with extreme caution. Once again, allow the seals to absorb the conditioner, creating a coating which will help to keep rain and weather out of your RV. 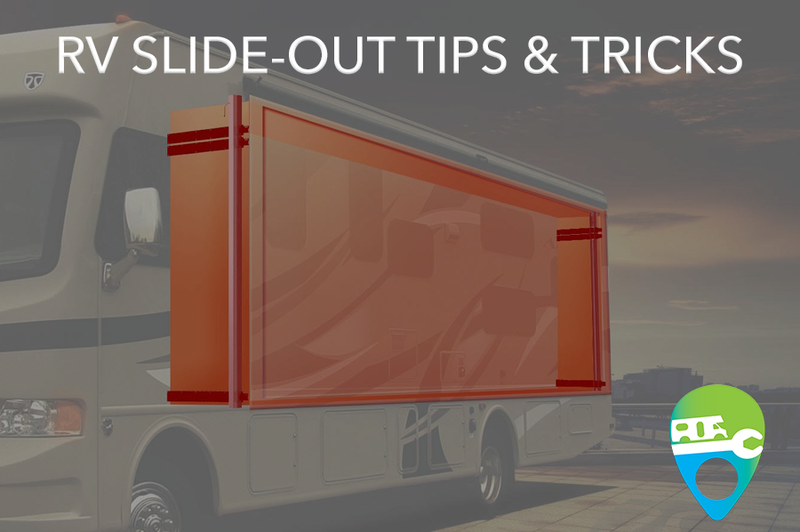 When working on RV slide-out maintenance, you won’t want to ignore the parts that keep the slides moving: the slide-out mechanism. If your seals have allowed even small amounts of moisture into the RV, the metal components of your slide-out can begin to rust and corrode, which could cause major issues further down the line. Keep things rolling by applying a “dry” lubricant to the metal components of your slide, including the hydraulic rams and cylinders. It’s also a good idea to take a peak at the motor and gearbox just to ensure there is no debris or dirt. Clean these areas, but do not apply any additional lubricant. 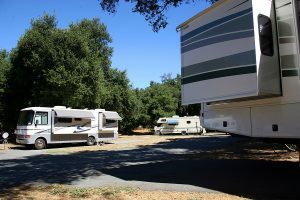 Your RV’s slide-outs are a big part of making your motorhome or travel trailer feel like “home”. The extra living space offers comfort wherever the road might take you. Showing the slide-out seals and mechanism a little extra love every few months will go a long way towards comfortable, worry-free RVing. My question about lubing slides----how do you spray the outer seals when they are covered by slide awnings? We use a multi-pocketed, over the door hanging shoe organizer in our RV bathroom to hold the myriad items you need when traveling; i.e., band aids, iodine, toothpaste, clippers, floss, aspirin, alka seltzer, q-tips, spray room deodorizer, mouthwash, etc., etc. Since the organizer is hung over the door, it takes up no cabinet or counter space and holds 25 to 30 items. We use the shoe holder with the clear plastic pockets so you can see all items and can find what you need immediately. Everyone who sees this organizer remarks what a great idea it is. Wish I had thought of it years ago, but I saw it used first time on the Rachel Ray show when she had a guy who was a professional organizer on her show. Enjoy getting tips and tech info about rv's. Many of my questions have been answered from your site.